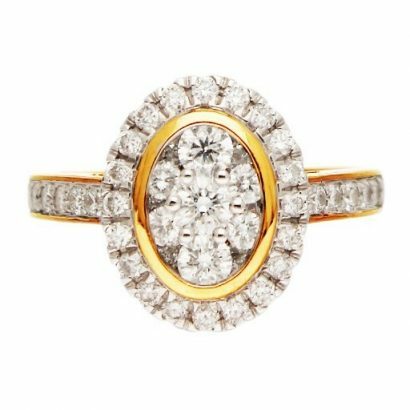 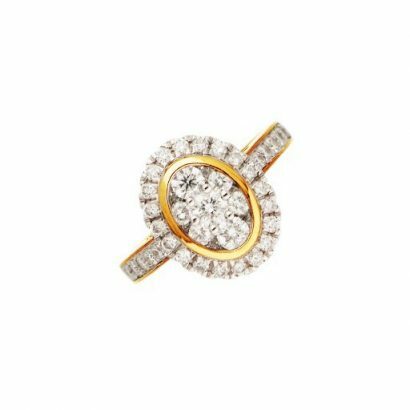 A 22 karat gold ring inlaid and encrusted with brilliant diamonds in magnificent symmetry and artistry. 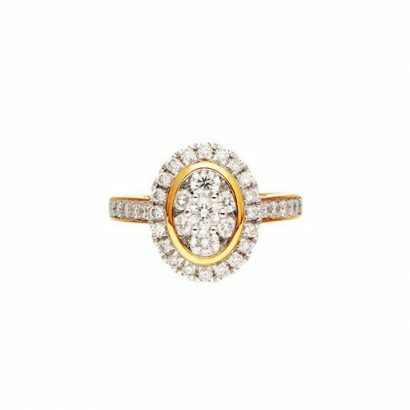 The highlight of the ring is the cluster of shimmering diamonds placed skillfully to form a flower. 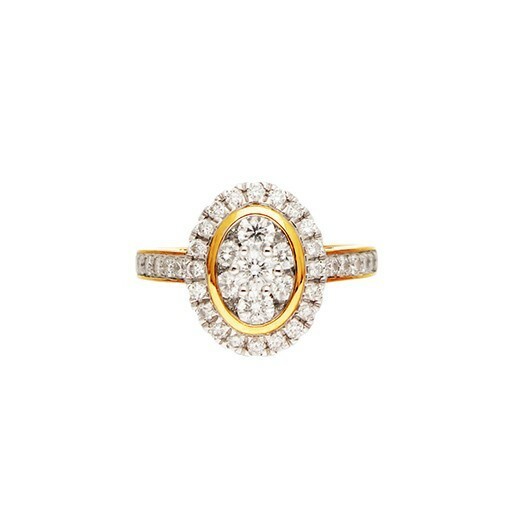 Elegant and sophisticated this ring has touches of traditional and royal influences.